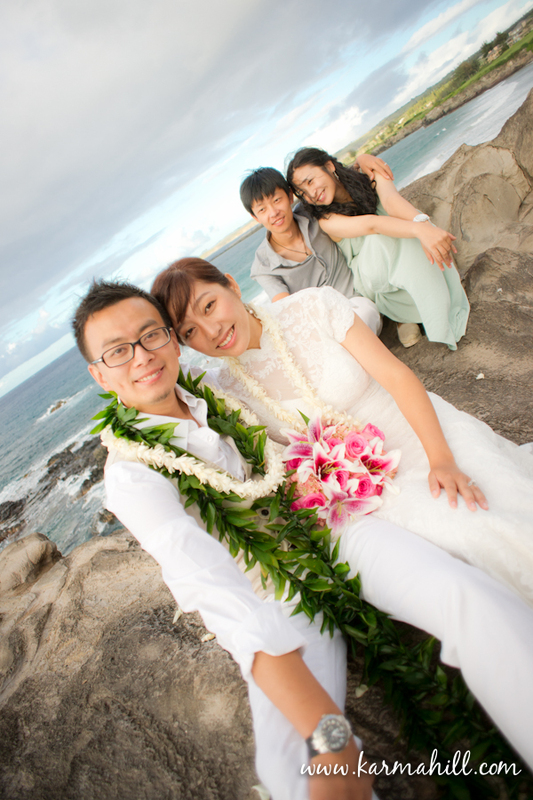 In the middle of taking photos after their ceremony Hao stopped and said, this is my dream come true. It made me stop in my tracks. When you work in the wedding industry for a living and almost everyday is another wedding, sometimes it is easy to forget that each wedding is someone's dream come true. 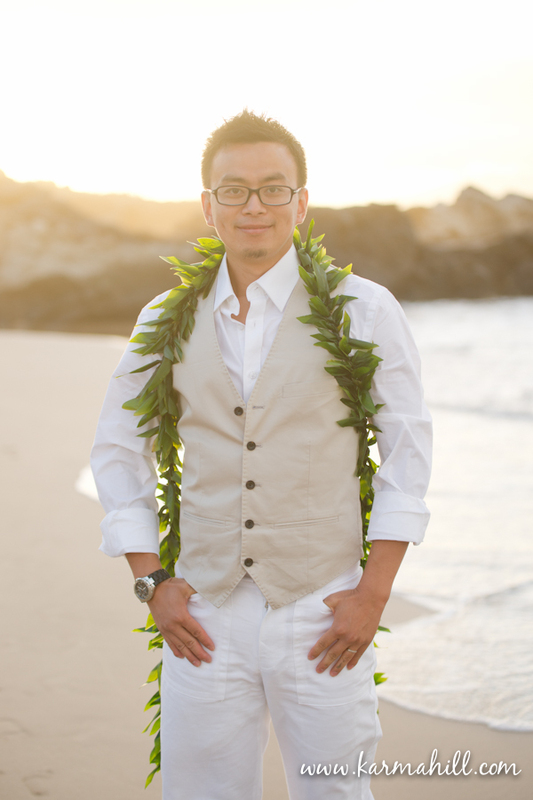 Thank you Hao for reminding me. 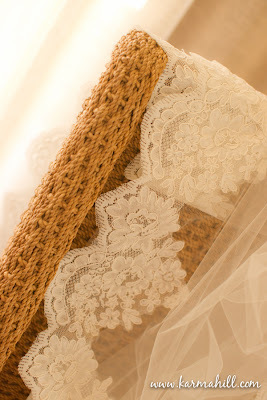 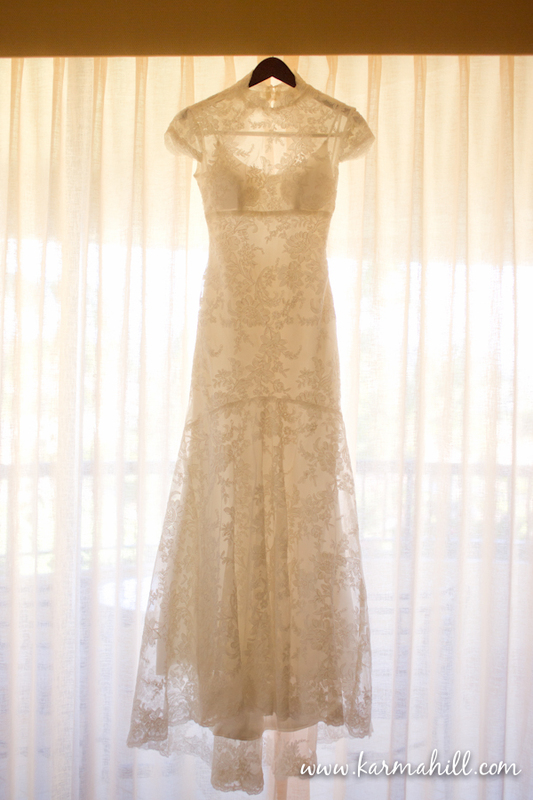 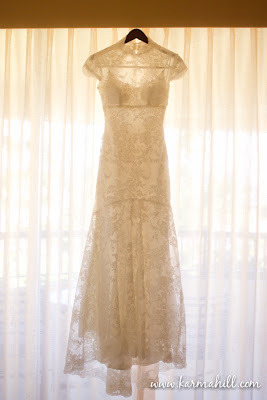 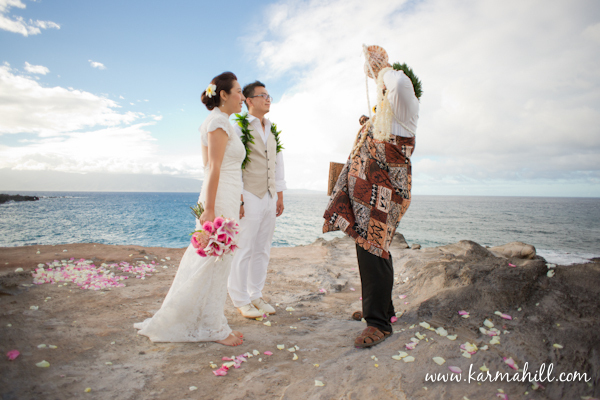 It is such an honor to be a part of each and every dream wedding day. 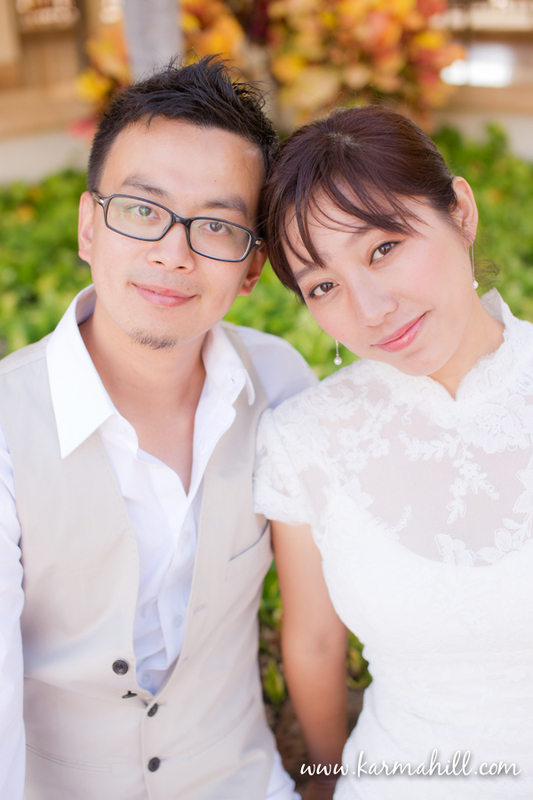 Hao and Shanshan met as exchange students from China in Ottowa. 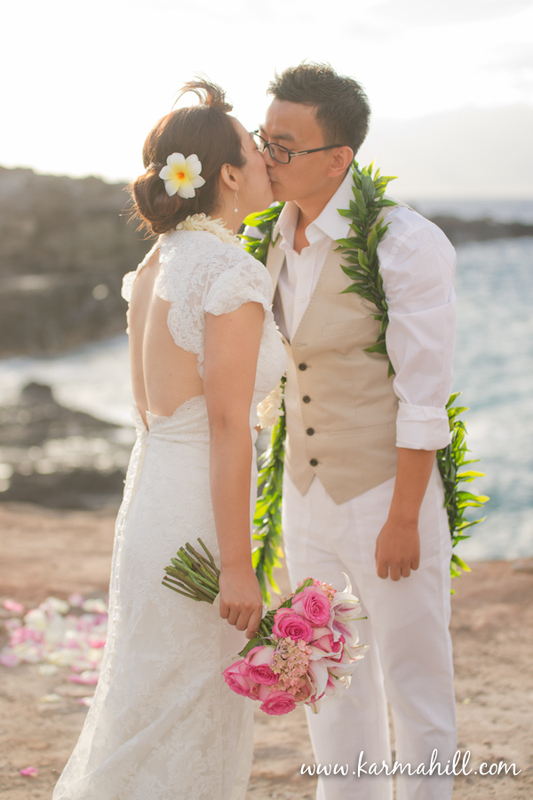 They fell in love and decided to stay in Canada and when they got engaged they knew Hawaii was the place they wanted to get married. 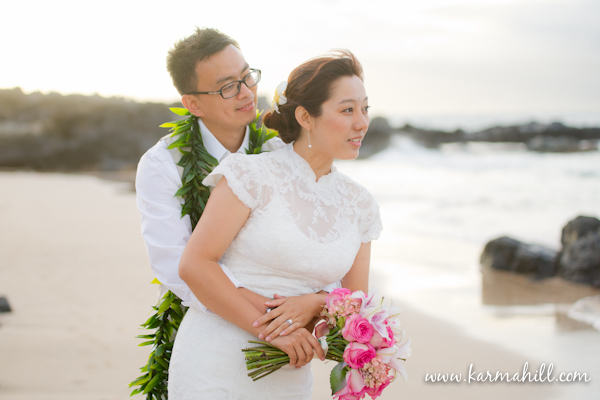 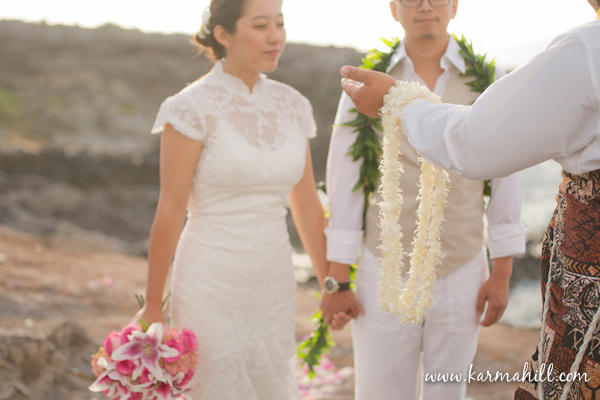 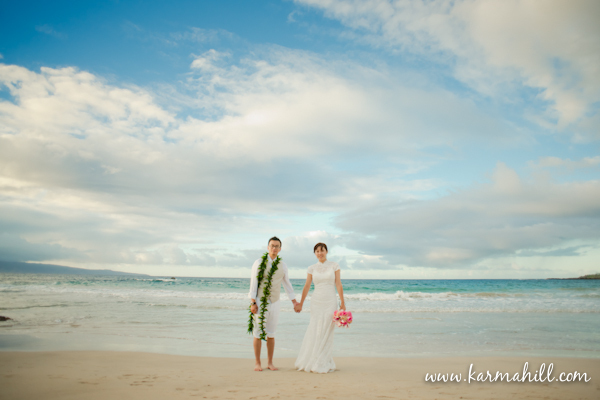 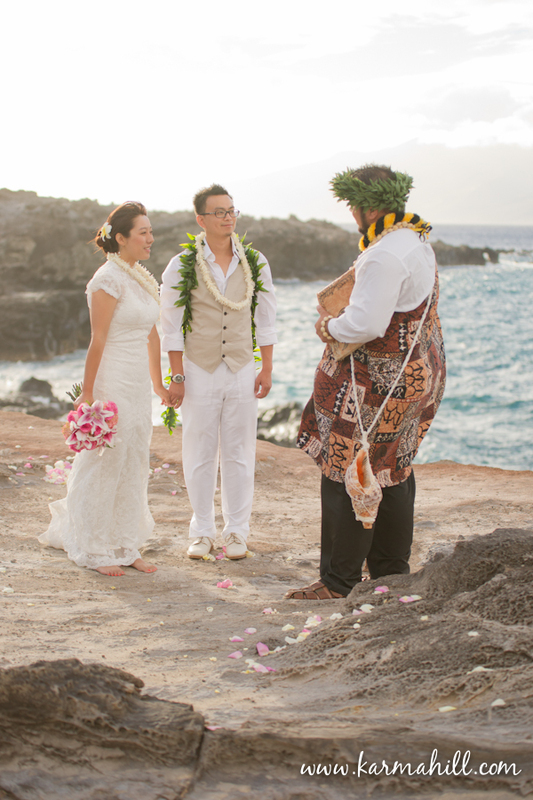 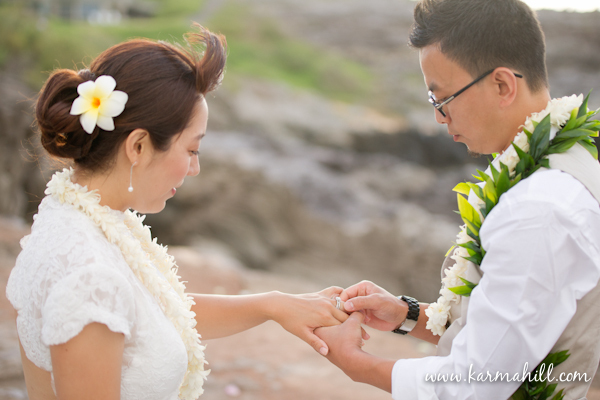 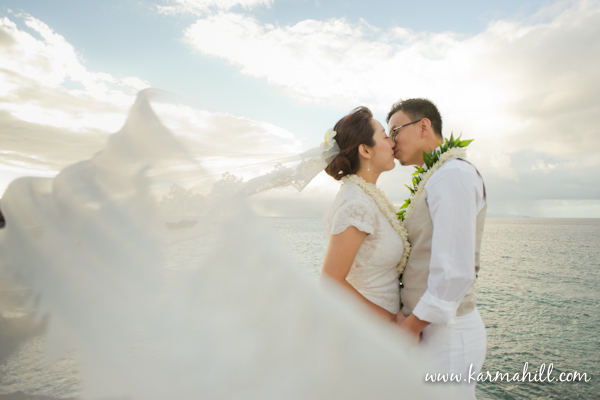 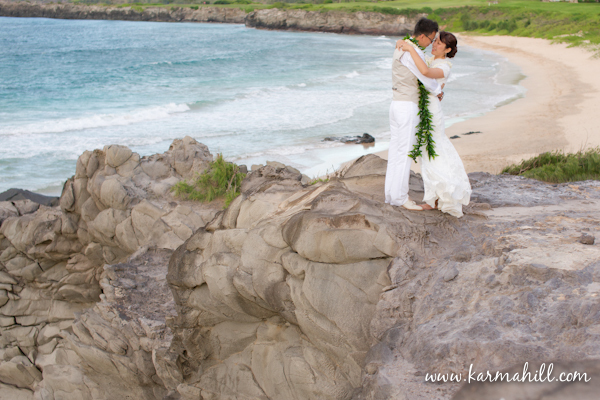 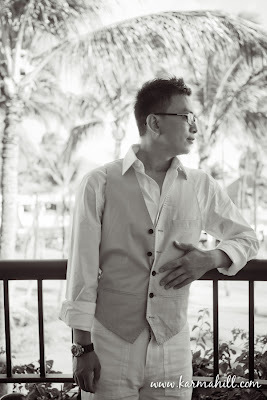 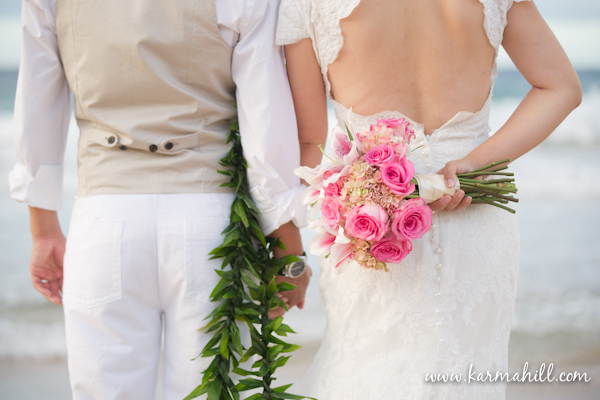 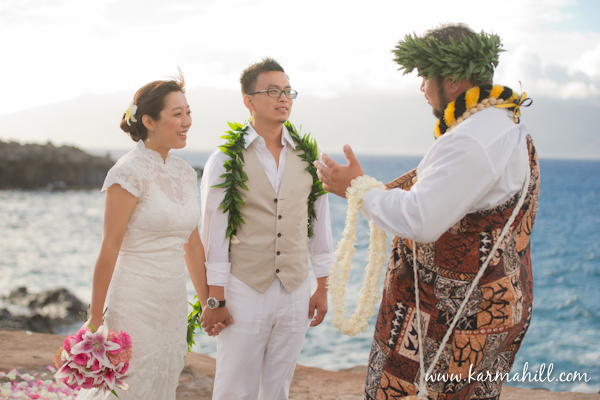 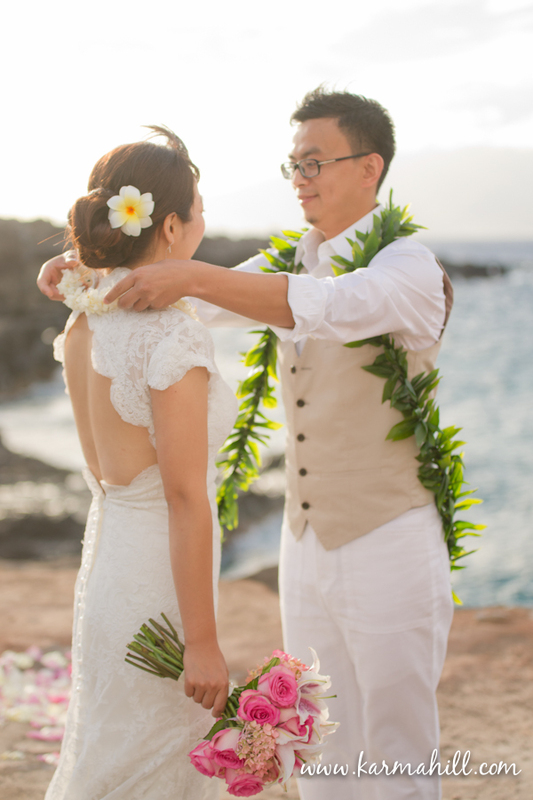 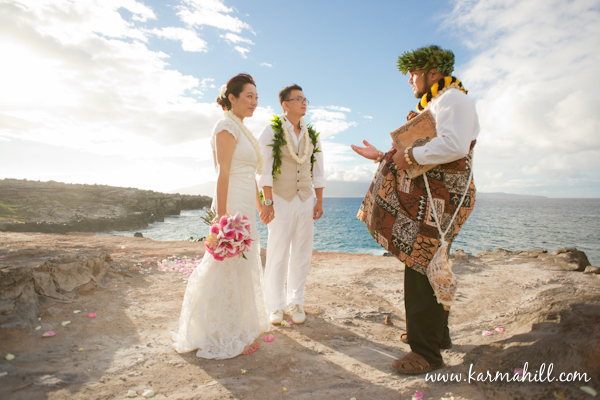 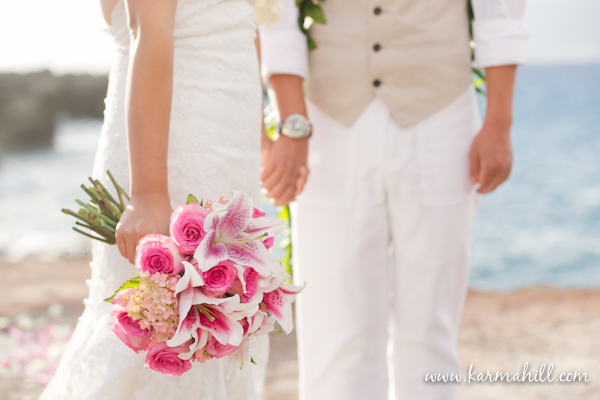 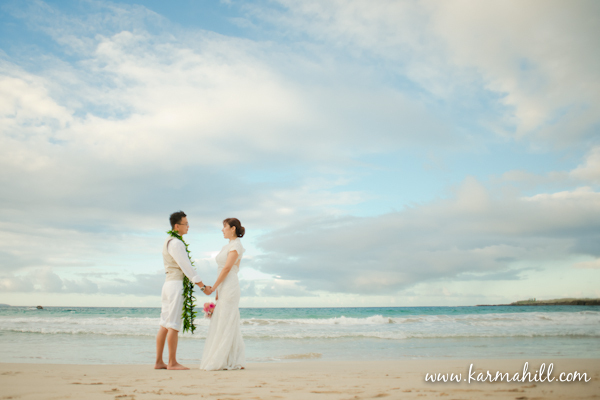 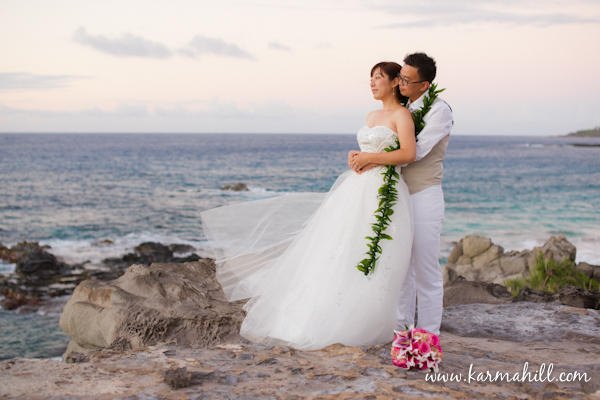 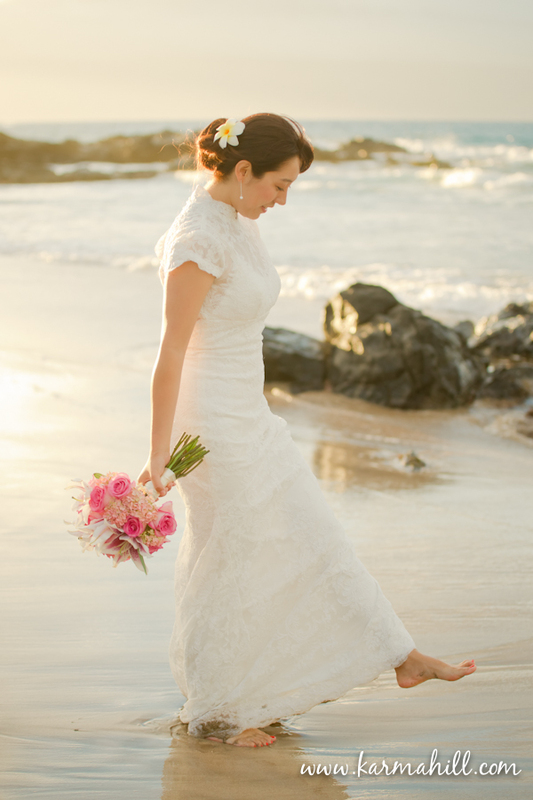 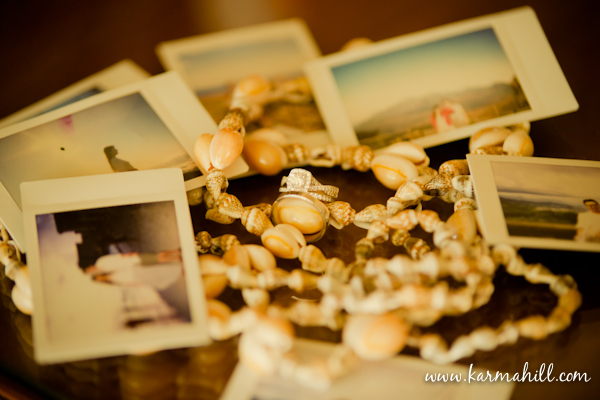 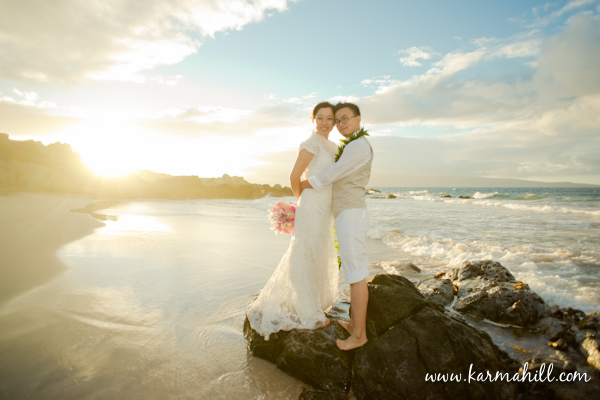 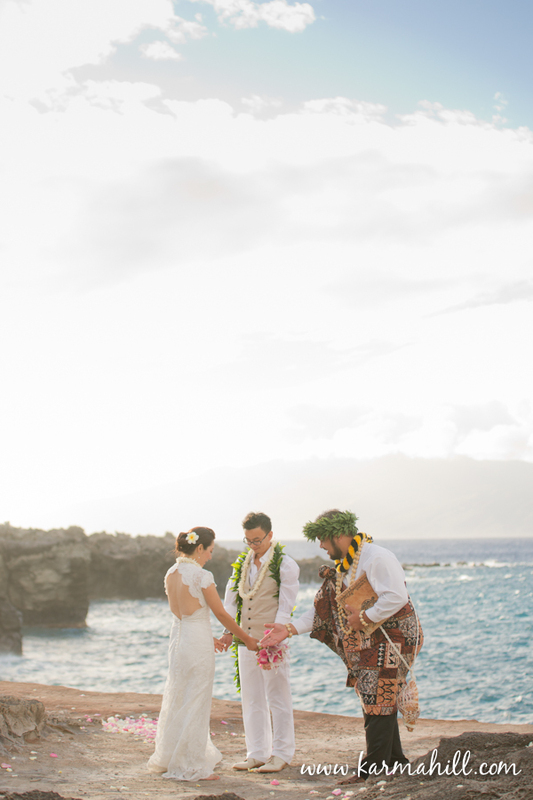 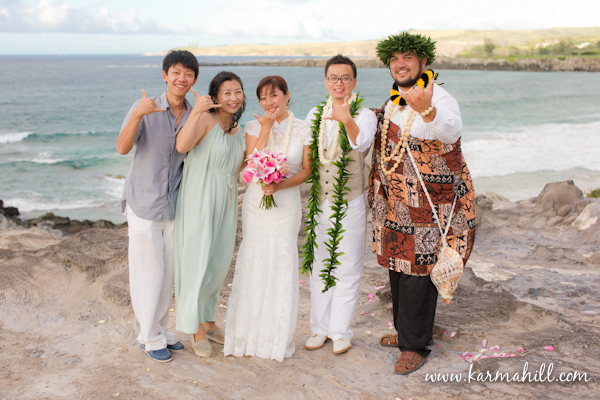 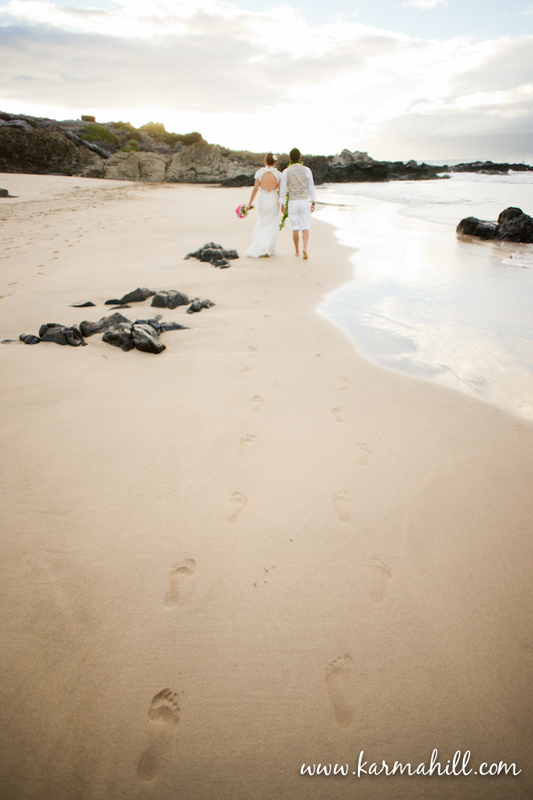 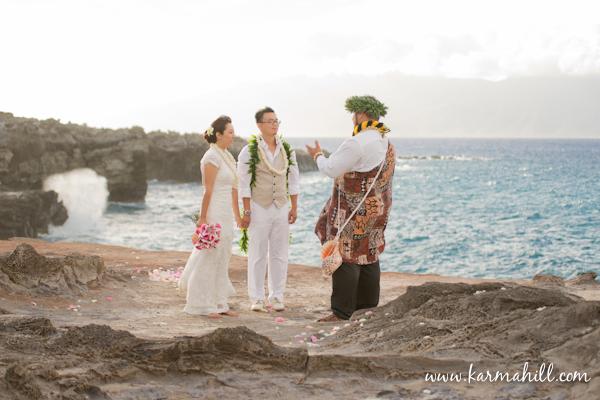 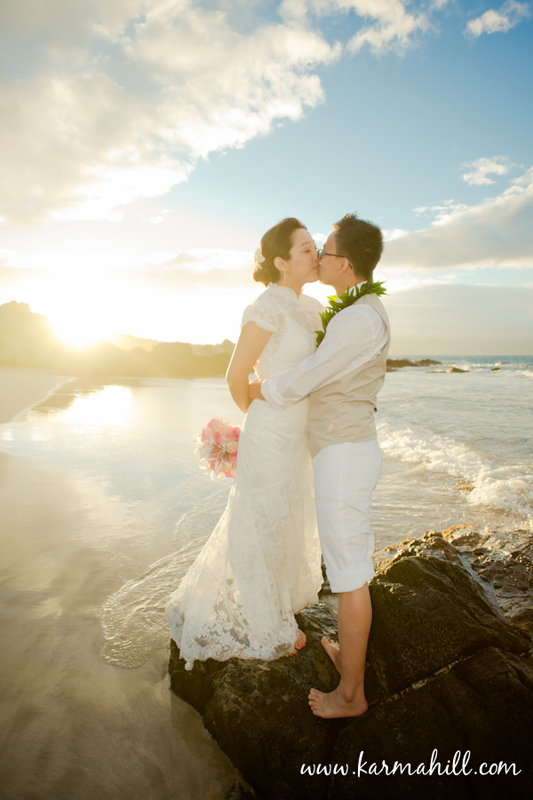 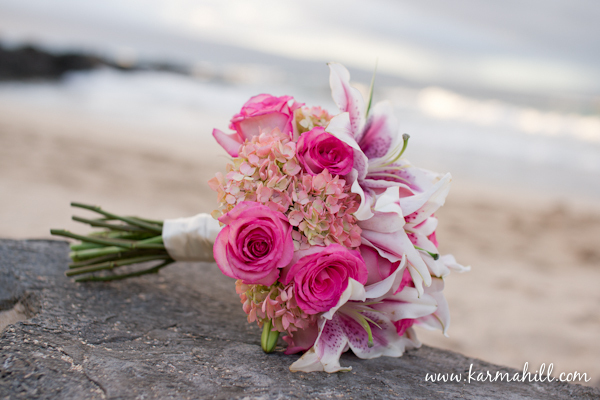 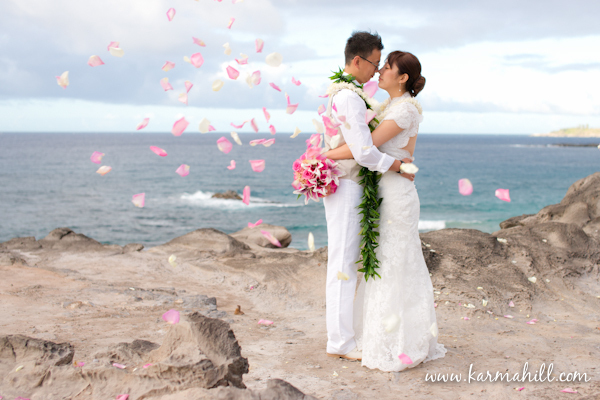 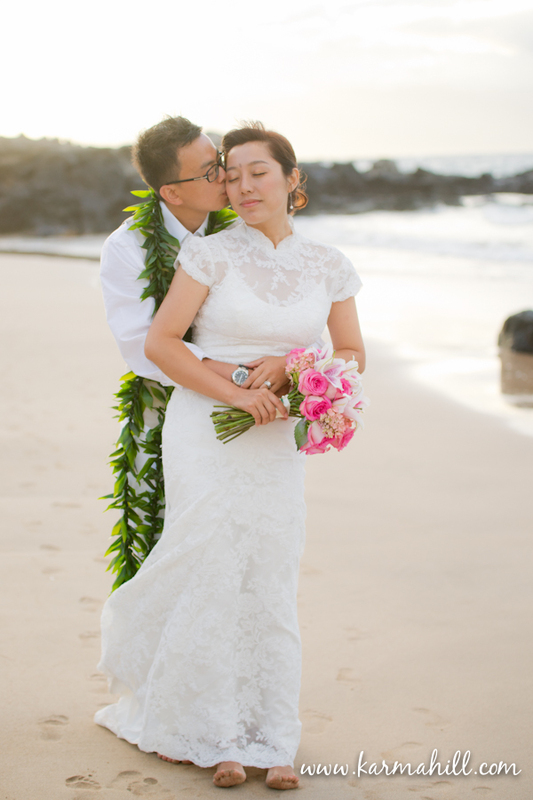 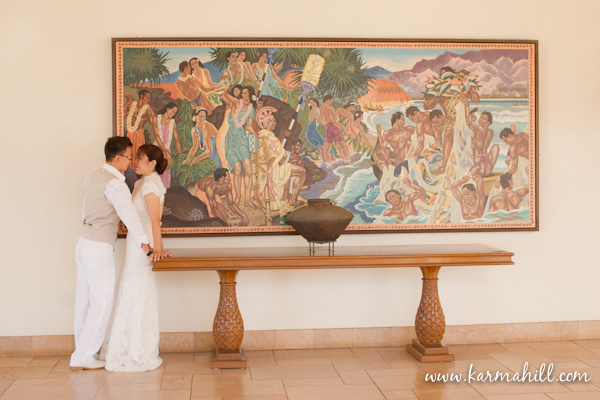 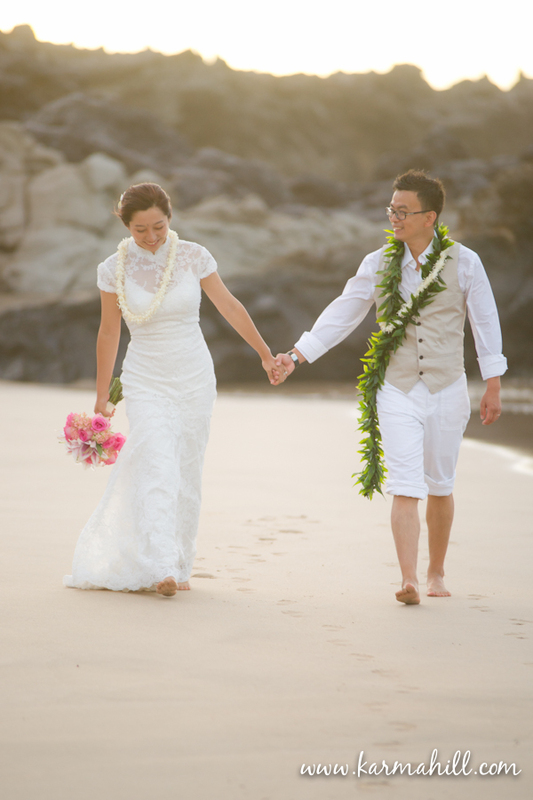 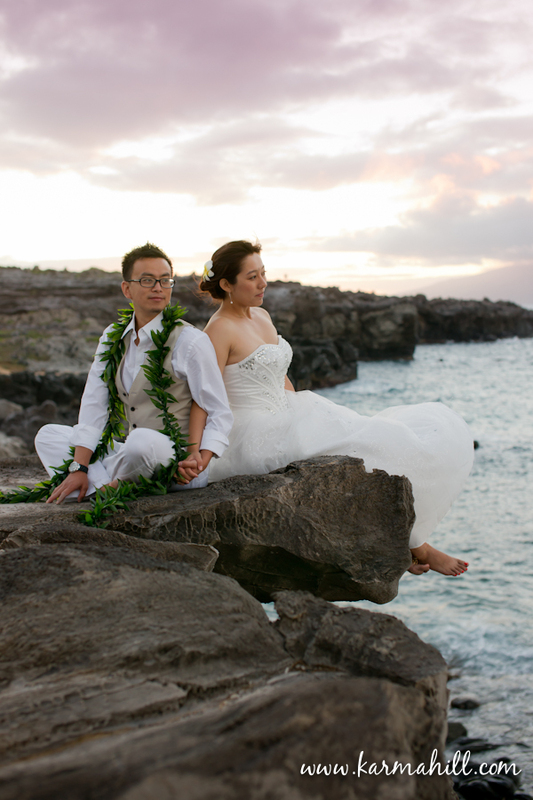 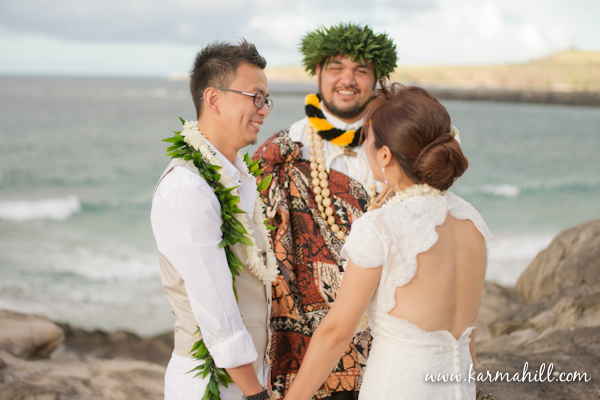 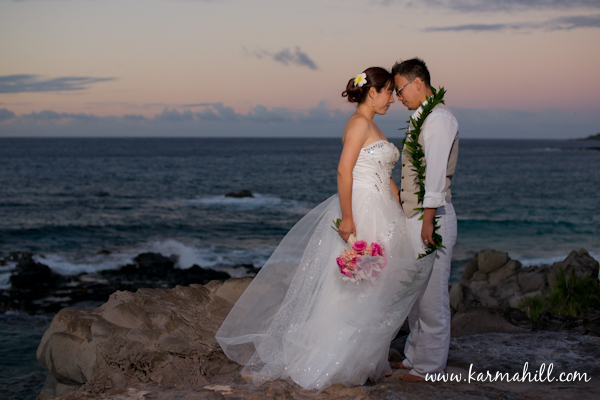 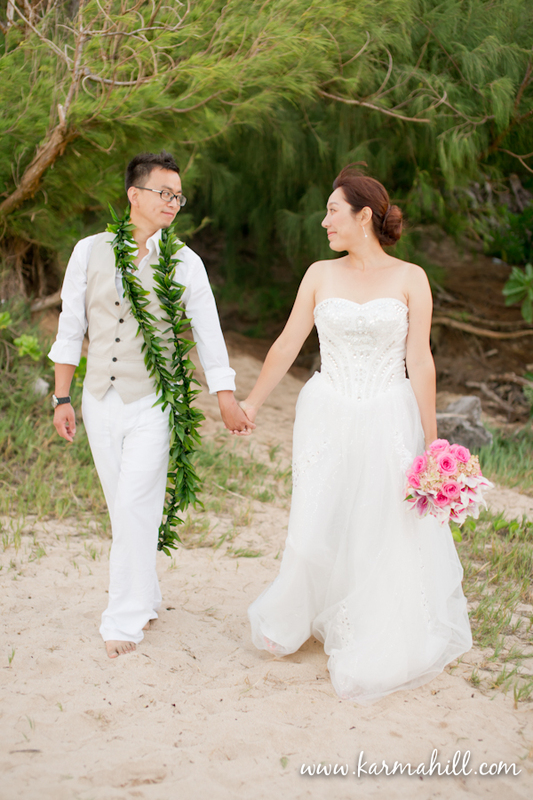 They were joined by their close friends who flew to Hawaii all the way from China and were married in an amazing private cliff top ceremony at Ironwoods beach. 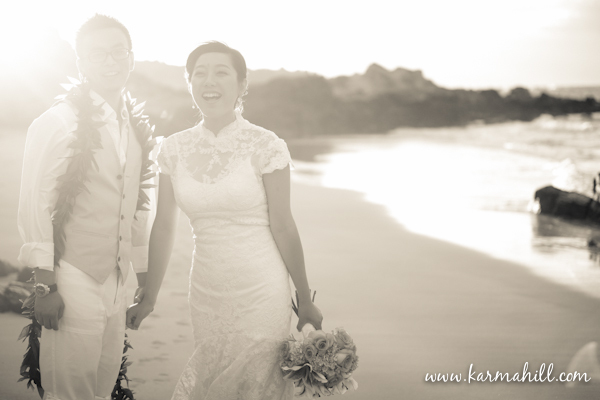 The light at Ironwoods is just magical and I had such a great time spending time with them and playing in that magical light. 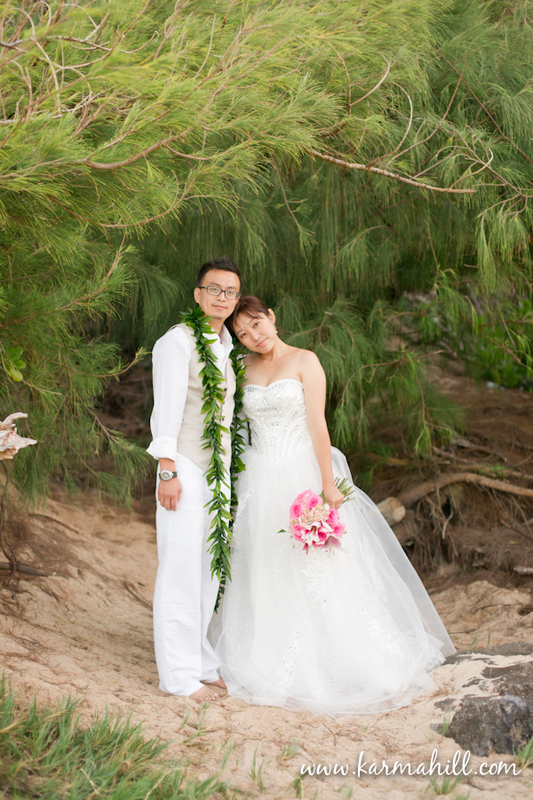 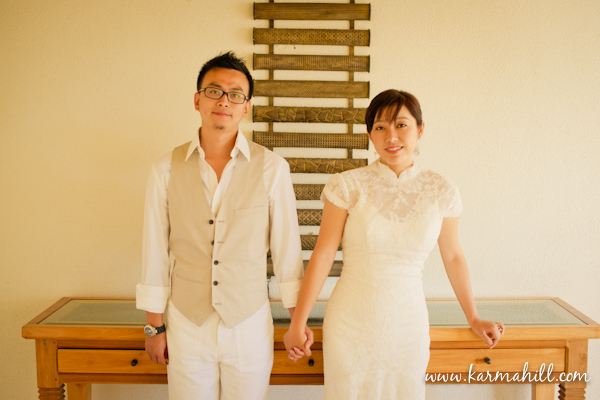 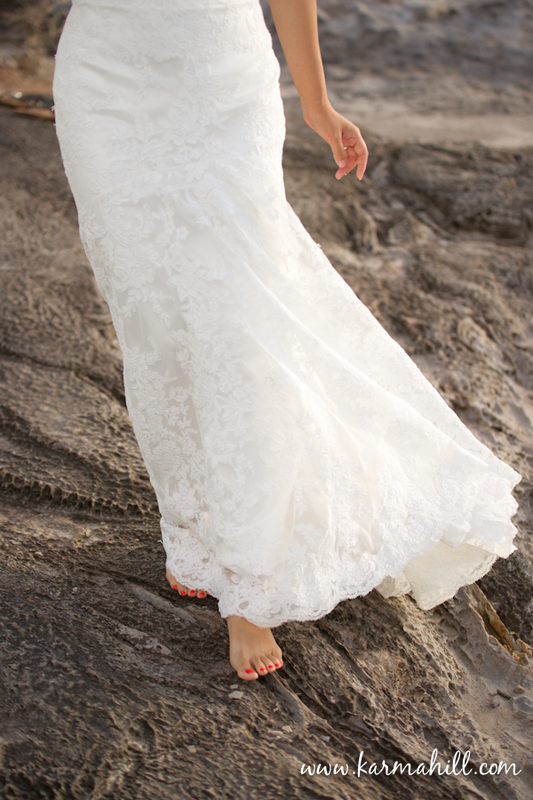 Shanshan also kept it fun for me by breaking out wedding dress number two halfway through their photo shoot! 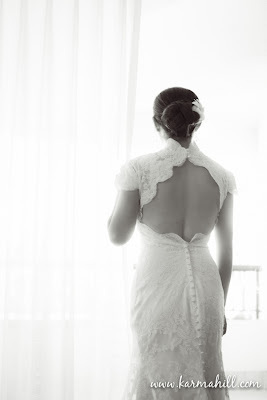 She had bought her gown online and wasn't sure it would work so her mom bought her a back up, she ended up liking them both so much she decided to use them both, love it!